Since 1996 this region has been a focus of the economic activities of the City of Frankfurt and the Economic Development GmbH. On signing a cooperation agreement with the City of Moscow in 2001, Frankfurt became one of the premier destinations for Moscow and Russian companies to invest and settle in. A rapidly growing business community has developed in the city, and cultural and culinary offerings have followed. Frankfurt Economic Development GmbH is the reliable partner for companies both in the phase of settlement and in later business development. Are you interested in investment or networking opportunities? Then please get in touch. Consulates: The Russian General Consulate was opened at the beginning of 2008. This step has increased the city’s attractiveness to Russian decision-makers from politics, business and culture and has given a fresh boost to economic and cultural cooperation. Ukraine, Kazakhstan, Uzbekistan, Moldova and Kyrgyzstan maintain diplomatic representations in Frankfurt. 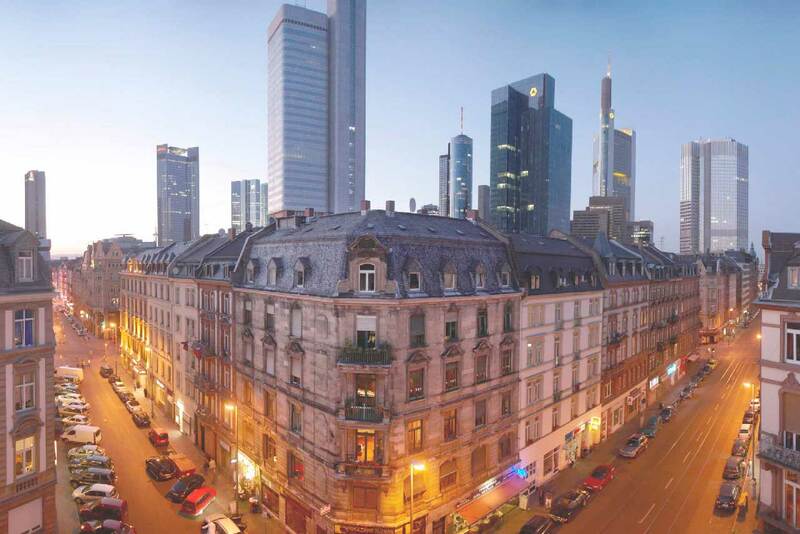 In 2007, the Chamber of Commerce and Industry of the Russian Federation opened its representation in Frankfurt. The information and business center of the Novosibirsk region coordinates the contacts between businesses and politics from Frankfurt and the area around Novosibirsk. Banks: The Russian market leaders Sberbank, VTB Bank, VTB Direct Bank and Vnesheconombank are represented in Frankfurt. Other well-known players from the CIS countries, such as Bank of Azerbeijan or Belarusbank, have offices in Frankfurt. Companies: Offices of Aeroflot, Air Moldova, Lot, Energoprom, Marussja, the Russian news agency Interfax, MK publishers and many others are building bridges between the markets of western and eastern Europe. Business cooperation agreements: Since 2000, Frankfurt has been concentrating on the cooperation with Moscow, Russia’s capital and the country’s economic and political hub. This cooperation received official support in 2001, when a cooperation agreement was signed. Further agreements have followed since. The cooperation focuses on the financial market and the general exchange of expertise. The community has developed an active and multifaceted life. German-Russian schools and daycare centers, Russian media and specialty restaurants from CIS countries contribute to the international flair of the city. Several Russian Orthodox churches enrich the spiritual life of the region. This makes newcomers feel at home in Frankfurt right away. The association operates the Russian Saturday school Slovo and the special early education center Slovetchko. Apart from language and culture, excellent early support is offered in mathematics and music in particular. Furthermore, the association offers Russian language instruction for children and adults. The Slovo association now also runs three German-Russian Nezabudka daycare centers; a fourth is planned. In addition, there is the mini-daycare center Solnyshko. The Catherine the Great School is a state-certified private full-day school in Frankfurt, in which teaching languages are German and Russian. The international bookshop KNIZHNIK, focussing on Russia, offers a wide variety of mainly Russian books, DVDs, films, music and more. An online ordering service completes the portfolio. The German branch of the publisher “Moskovskij Komsomolets (MK)” publishes several magazines, which report on subjects from Russia as well as on Russian life in Germany and the European Union. The Russian-German magazine covers business, legal matters, employment and leisure subjects. It is a monthly publication and is distributed free of charge. This monthly magazine offers information on employment, training, business and politics. It, too, is free and is published by LTC MediaVerlag. The “Caravan” restaurant in Bockenheim offers specialties from Uzbekistan. “Watra” in Frankfurt’s Westend district specializes in Western Ukrainian cuisine. Typical foods, newspapers, magazines, books and videos are available from specialty shops in the city and the neighboring towns.